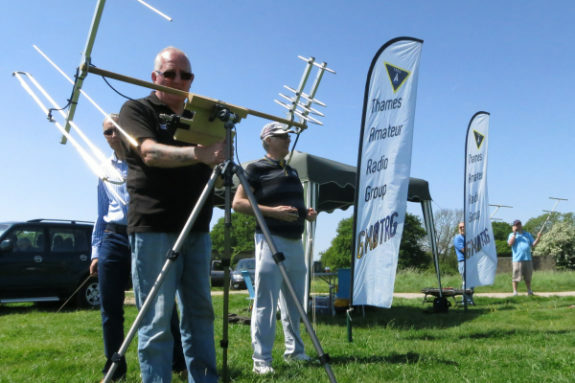 On this page, you’ll find information about the Thames Amateur Radio Group (TARG), one of the amateur radio clubs in Essex. 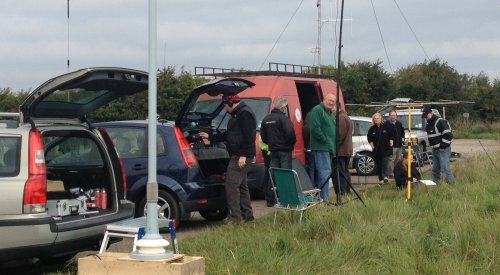 The Thames Amateur Radio Group formed in September 2012 and their club venue is Jubilee Hall, behind the Waterside Sports Centre on Canvey Island. TARG has a diverse membership, including youngsters and families – their youngest member passed their Foundation licence aged 9 years, in 2018. Since 2012, TARG has trained over 100 candidates, and offers weekend Foundation and Intermediate courses, as well as Advanced exam sessions. The group meets at Jubilee Hall, a two-storey building at the rear of Waterside Farm Sports and Leisure. 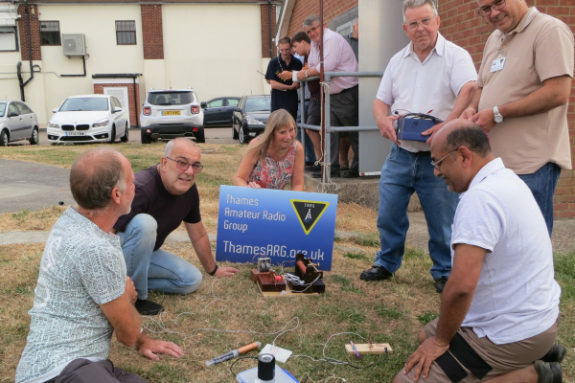 Thames Amateur Radio Group launched in September 2012 at an event at community radio station Phoenix FM in Brentwood. Since launch, TARG holds a monthly club night on the first Friday of the month. In early 2015, the group launched a second club night, called the TARGet Nite. This is a members-only meeting, focusing on mentoring and construction, and has a £2.50 entrance fee. Foundation training was introduced in early 2013 and TARG was the first club in the UK to make use of Essex Ham’s Foundation training material. 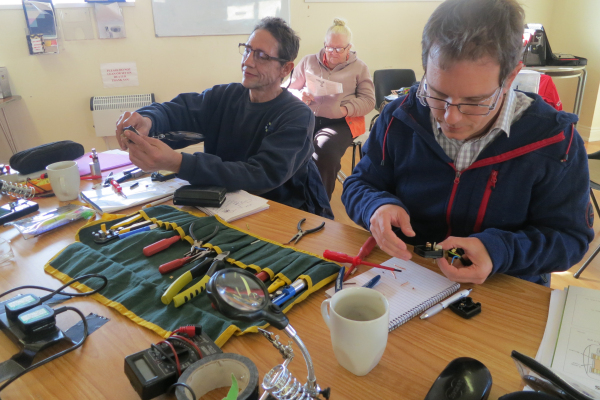 Following the first few successful Foundation training courses, the Thames Amateur Radio Group started to offer Intermediate training courses in 2014. 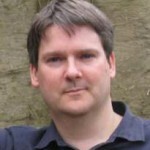 The club’s distinctive website was designed and developed by TARG’s original webmaster Pete M0PSX to stand out from the other clubs, and the group quickly adopted Facebook and Twitter as a way of communicating with its members. Former Thames ARG activities include annual week-long camping/caravanning trips for its members at Crowsheath Fisheries near Billericay. TARG had a dedicated shack at its Waterside Farm base between 2012 and 2013. Got a comment about TARG, the Thames Amateur Radio Group? Please add it below. Is it true that TARG has changed it’s rules to stop people joining there club if they are a member of another club?? Well done to Thames Radio for supporting the Indie Rose Leukaemia Fund. Thanks so very much. 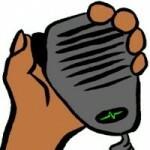 The radio you do looks very interesting and lots of fun. I might even sign up :) :) Keep up the good work! Yes, great to see local clubs raising money for very deserving causes in the county. 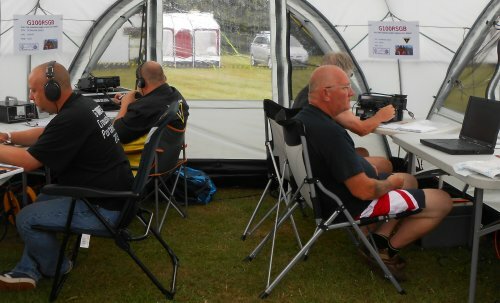 If you’re interested in getting involved with amateur radio, you’ll find lots of information on how to get started on this site – or why not go along to one of TARG’s monthly meetings – visitors are welcome to their club nights on the first Friday of the month.